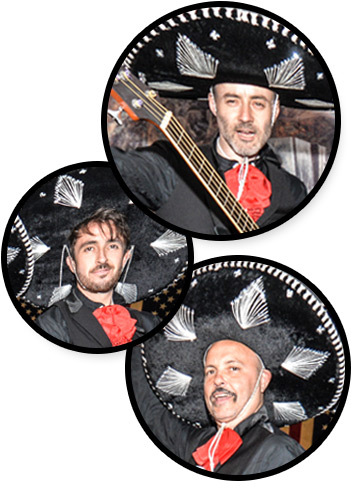 The incredible Mariachi band London: Beat Banditos have tapped into the current trend for all things Mexicana and carved their own niche in the entertainment industry. Typically performing 70 - 80 shows a year, the band was formed by trumpet player Andy Smith (Tom Jones, Alison Limerick) when his Herb Alpert-styled trumpet duo began getting "strange requests" for songs by the likes of Wham and Take That! Check out the repertoire page for our complete song list. The Doritos ads that followed showed that a huge demand was there for a musically proficient act that could provide a comedic fusion of current pop songs with Mariachi rhythms, and the band hasn't looked back, with private and corporate events nationwide peppered with international football matches at Wembley Stadium, performances for injured troops returning from Iraq and Afghanistan, and a star-studded Children in Need ball. We were even approached to be part of BBC's World Cup 2014 coverage! All in all, the band strides a unique position as probably one of the funniest and constantly-surprising acoustic (and non-acoustic!) 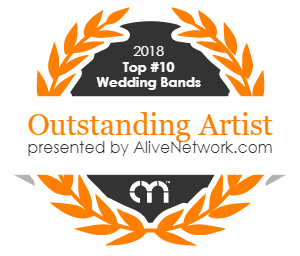 musical act in the UK, suitable for almost any event - including weddings - no matter how big or small.